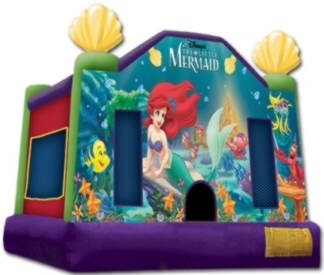 This is a licensed Little Mermaid jump that brings Ariel and friends back under the sea. This jumper boasts artwork of Ariel, Flounder, Sebastian, and other friends from the sea floor, with King Triton’s castle nearby. Kids can jump away the day with all their friends.